Preheat oven to 350°F. Spray 8x8-inch baking dish with cooking spray. 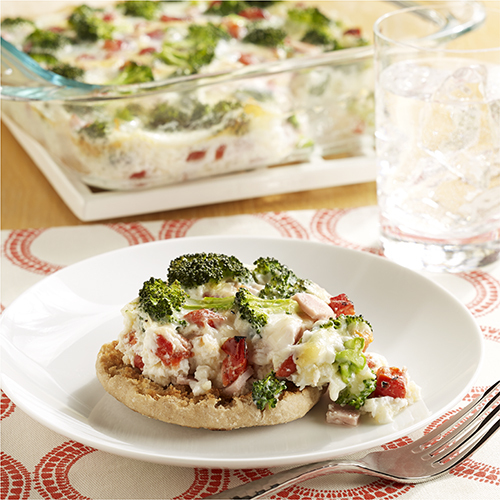 Place broccoli, bacon, cheese and peppers in dish. Combine Egg Beaters, milk, salt and pepper in medium bowl until blended. Pour over broccoli mixture in dish. Bake 35 minutes or until set. Serve casserole on muffin halves.